Special coating designed for optimum print quality, crisp text, color clarity and consistency. HP Inkjet Tri-Fold Brochure Paper, 98 Bright, 48lb, 8 1/2 x 11, White, 100/Pack - Create your own professional-quality brochures with Glossy Tri-fold Brochure Paper. Thicker, sturdier professional paper is designed for inkjet printing and pre-scored for easily creating three-panel brochures. Use this brochure paper for impressive three-panel brochures. Bright white, two-sided finish allows professional-looking, two-sided printing. Paper is designed for optimum image quality, crisp text and consistent color clarity. 48 lb. paper is compatible with inkjet printers. Specially designed for business applications, HP brochure paper delivers a high-quality professional gloss finish on both sides.  It looks great, prevents printing from showing through and resists fingerprints - to make your business looks its best. HP brochure paper is coated with a premium inkjet finish for brighter colors and glossier, deeper blacks. Designed specifically to deliver optimum digital image quality, crisp text and bold graphics with reliable color quality and consistency. 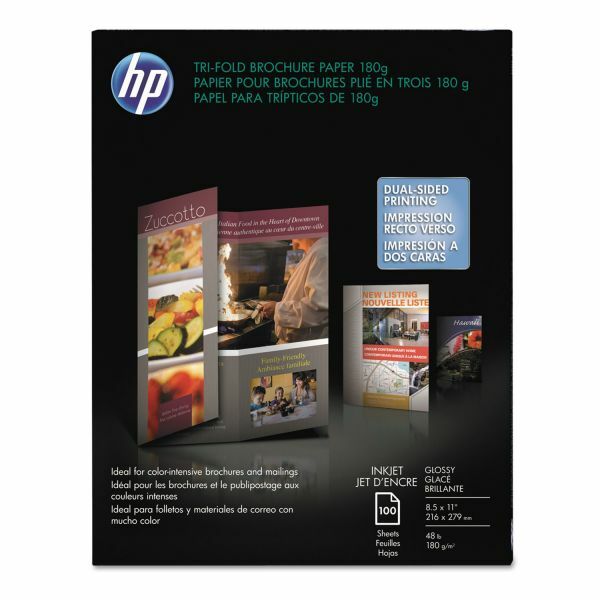 It's easy to make your own brochures with HP tri-fold brochure paper. Pre-scored for neat and easy folding, to look professional every time. With self-adhesive mailing seals in every package and free downloadable templates at hp.com/go/brochures. Brighter and whiter than plain paper and most multi-purpose inkjet papers, HP brochure paper delivers high-impact color and superb contrast for improved text readability. Designed and tested to deliver optimum performance with inkjet printers. HP quality and reliability guaranteed.